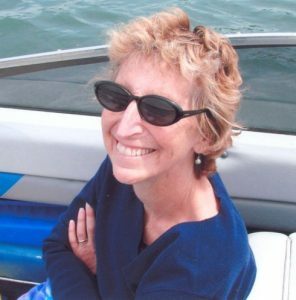 Betsy Reifman was an esteemed interpreter colleague within the Maine community. She left our world in 2008 after a battle with cancer. In honor of our beloved friend, Maine RID has established the Betsy Reifman Leadership Award. This award is presented to a Maine RID member who exhibits the qualities that Betsy embodied and that we all admired: leadership within Maine RID, active participation in the interpreting community, dedication to ethical decision-making and supportive of the profession’s growth. Ann Swope embodies the qualities we associate with Betsy Reifman–commitment to the profession (she has served in many capacities for MERID), service (she was the CEU maven and Local Test Administrator for RID for years), teaching (practicum, source language ASL, ethics), and much more at the University of Southern Maine. Ann in particular has not only taken Betsy’s ethics course, but also co-taught this course with several instructors, as well as teaching it on own. She has carried on the heart of Betsy’s commitment to exploring ethical decision making with students. Personally, she has been a touchstone and sounding board for many interpreters in the field in terms of ethical reasoning and decision making. Ann has a fervent commitment to lifelong learning and has contributed greatly to the lifelong learning of RID’s membership by organizing workshops and activities. Most recently she procured several Faculty Interest Grants to offer workshops geared toward professional development for interpreting instructors and mentors. Anna is a graduate of New York University(1980) with a Master’s Degree in Deafness Rehabilitation and San Diego State University (1993)with a post graduate certificate in Deafness Rehabilitation. She is also one of the last participants to graduate from the 9 week Basic Interpreter Training Program offered at the National Technical Institute for the Deaf (1981) in Rochester, N.Y. 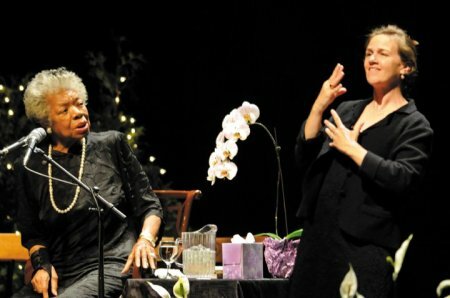 While Anna’s primary work for 22 years was in Vocational Rehabilitation (VR), she maintained her interest in interpreting by working as a community interpreter whenever possible and by being involved in the Maine Registry of Interpreters for the Deaf (MeRID) and the Registry of Interpreters for the Deaf. After retiring from VR in 2000, she began her full time career in interpreting. Having had various roles on the MeRID board such as treasurer and northern rep for several terms, and currently serving as Educational Rep, she has encouraged and recruited others to jump in and join the work in the organization’s growth. When Maine, along with New Hampshire, hosted the inaugural Allies Conference in 1994, Anna helped raise over $15,000 in donations to help reduce costs and provide seed money for future Allies symposiums. Living in northern rural Maine, Anna has worked diligently to provide the interpreters of the region with professional development and mentoring. After studying with mentor Betty Colonomos and other highly valued peers at the Etna project for over a 4 year period, she has reached out to experiment her new skill set in “process mediation and scaffolding” back here in Maine. Over the past three years, on her own, she has established a monthly peer dialogic group. These meetings provide a place for novice and experienced interpreters to come together to talk about the work in a safe and supportive environment. She strongly believes professional and personal growth does not evolve through judgement and critique but through a dialogic process of peers offering their insight and experiential stories to others as modeled by the Etna project. When the Deaf community expressed an interest in having a dialogue with community interpreters about the “work”, Anna set up a monthly gathering over a ten month period. It was an opportunity for the Deaf and hearing communities to get together and dialogue and share the languages of English and American Sign Language (ASL), cultural norms and expectations. Topics of interest this past series included: ASL for performance, teamwork, signing songs, facial grammar, ethical dilemmas, idioms, jokes, skits of real life situations, and talking about food. Anna coordinates monthly to ensure that a member, native to ASL, is present to facilitate and/or co-facilitate these dialogues. Anna provides these workshops free to participants with CEUs available through the MeRID. Anna is a highly respected mentor and leader in the interpreting community. She has a proven track record for working to support the professional development of interpreters in Maine. She aptly represents the qualities of leadership, active participation, and dedication to the field of interpreting as our beloved Betsy and is grateful to all of her mentors past and present. Ruth Vigna is a prime candidate for the Betsy Reifmann award. Ruth and Betsy were close friends for decades. Ruth shares with Betsy a strong emphasis on ethical reasoning as a guide to behavior. For decades Ruth has served as a mentor as well as a touchstone for interpreters throughout the state when they needed a sounding board or an extra perspective on a challenging decision. Ruth has the best “elevator speeches” of any one because day after day in limited time spurts she is posed with our many questions and quandaries. You can always count on Ruth to take the high ground. Ruth and Betsy taught a series on preparing for the NIC interview that many of us attended and enjoyed. I know it help me get a handle on the test. But even more so, during that workshop, Ruth and Betsy both did “talk alouds,” where they shared every ide coming into their heads as they problem-solved ethical questions. What an opportunity it was to peek into those two thought processes! 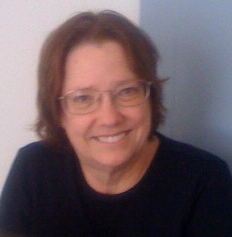 Ruth has contributed much to MERID and to the interpreting community in Maine. I can think of no one more deserving of this award. This year’s (2010) recipient of the Betsy Reifman Leadership Award is Judy Kegl. As Professor of Linguistics, Coordinator of the ASL/English Interpreting Program, and Director of the Signed Language Research Laboratory at the University of Southern Maine, Judy has demonstrated her dedication to and leadership in the field of interpreter education. Through her research, writings and expertise in the field, she steadfastly promotes advances in the profession on a local, national and global level. She is ever mindful of ethical standards in her interpreting work, as an interpreter team, as a mentor and as a teacher. She can be found daily guiding and shaping the very core of interpreting work in students and colleagues, talking about the ethical framework and decisions in both formal settings at the University to a impromptu lunch date over lunch. It seems that no matter where the topic begins one leaves with a new piece of trivia, a deeper understanding of interpreting, and an enriching new insight to the field of interpreting through her knowledge, her experience sharing, her mentoring informally or formally. For the past two years Judy has been working on the CCIE accreditation for the USM interpreter program, no small feat, endless sleepless nights and a tired accreditation team keeping up with her whirlwind energy and excitement about the USM program. 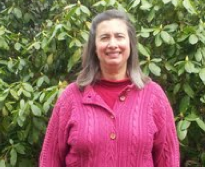 Judy has planted many seeds here in Maine, grown a strong pool of educators in her program, supported educational interpreter training at the University for rural interpreters in Maine and shaped the outcome of a strong group of graduating interpreters yearly. She doesn’t lead alone but looks to grow more mentors, and interpreter educators providing new opportunities for workshops, course work, mentoring, and achievements in interpreter training and certification. She creates the learning arena for matriculated students as well as working interpreters looking to refine and grow their skills. The accreditation by CCIE affirms what we all have recognized for years, her strong commitment to the holding and achieving high standards and practices for the interpreting happening in Maine and beyond. She does her work at all hours of the night, all days of the week, all months of the year – she redefines the energizer bunny. Not only does she serve as an administrator of the Maine interpreting training program, she mentors all interpreters, she herself continues to be a learner and mentee, she teaches and she listens, and she volunteers endless hours to progress the profession. Our community in Maine has embraced her and the hard work continues to do. She embraces this profession and strives to grow herself and others in the profession. Congratulations Judy on being the 2010 recipient of the Betsy Reifman Leadership Award. In 2009, the Betsy Reifman Leadership Award Recipient was awarded to Margaret Haberman. Margaret Haberman has been an outstanding leader within our community. She was involved in the re-birth of Maine RID. 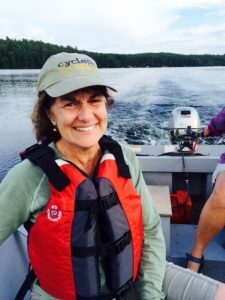 Margaret has served as the Maine RID president, CEU Coordinator, LTA, and used to write a regular “advice” column for the Maine RID newsletter. She has paralleled Betsy in her commitment to lifelong education, including the completion of her MA. She attended the Etna series on “Process Mediation and the Integrated Model of Interpreting.” And she has brought that learning back to Maine in the form of mentorship and teaching at the University of Southern Maine. Most recently, she received her credentialing in legal interpreting. Margaret is a model for interpreters in her ethical interactions, self-analysis, and commitment to processing the message. 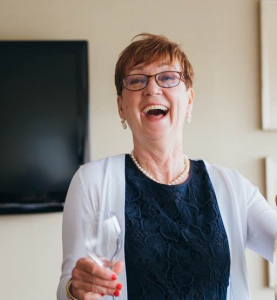 During the final months of Betsy’s illness, when all of wished we could be there with her for support, Margaret served as our communal link to her. Congratulations Margaret on being the first recipient of the Betsy Reifman Leadership award! 1. Nominations will occur throughout the months of February and March. Nominations submitted prior to this date may not be accepted. Nominations submitted after March 31, cannot be accepted. 2. The award criteria will be posted on the website on the Betsy Reifman Leadership page. 3. Nomination information will be posted on the MeRID website home page from January 1 – March 31. 4. Any member in good standing may nominate any Maine RID member. 5. Only one vote per member is allowed. 6. Nominations will be made through email. A reply email will be sent informing the individual that their nomination has been received. Members who submitted a nomination but do not receive a return email should resubmit their nomination through US postal service. 7. The nomination must include the members name and a descriptive paragraph why this individual should be the award recipient. 8. Board selects the winner from the nominees. If a Board member is nominated, he/she will abstain from the discussion and vote. If a board member nomination does not make it as a finalist, that nominated member may rejoin the discussion and vote. 9. In RARE occasions, should the board decided there are two equally deserving individuals the board may declare both individuals award recipients. Each would receive 50% of the pre-determined gift certificate. 10. The winner will be announced at the general meeting in April. The award recipient’s name will be posted on the Maine RID website. An ongoing list of the recipients will be maintained on the Betsy Reifman Leadership page of the website.